Dubai: The UAE will start off as favourites as Team Abu Dhabi’s American driver Shaun Torrente begins the defence of his world crown when the UIM F1H2O World Championship takes off in Dammam, Saudi Arabia this weekend. After a first free practice session on the 2.23km Dammam Circuit on Thursday afternoon, the 18 drivers representing 11 nations were expected to renew their rivalries with the official qualifying run at 4pm [5pm UAE] on Friday. 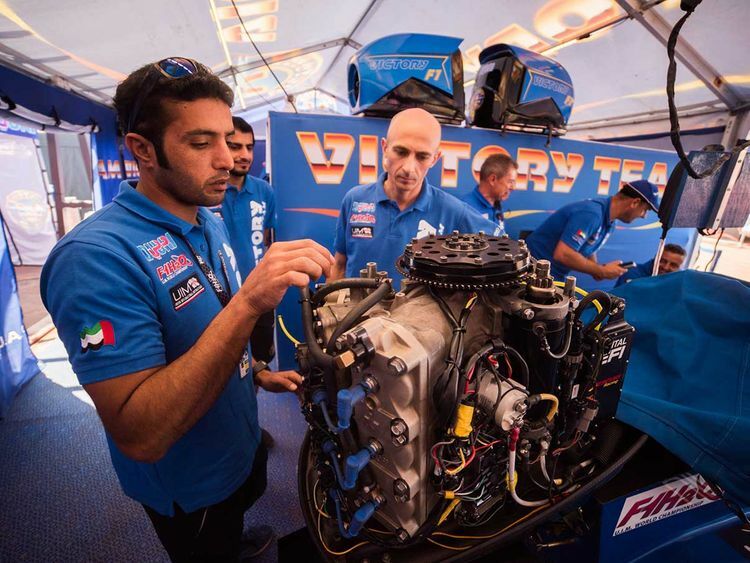 The race in Dammam — making its return to the UIM F1H2O fold after 15 years — will be the 280th Grand Prix on the calendar. The final practice session will be held on Saturday morning followed by the actual running of the Grand Prix of Saudi Arabia at 4pm. Torrente won his maiden world crown at the season-ending Sharjah Grand Prix in December with a meagre four-point advantage over teammate Erik Stark (85pts) and Thani Al Qamzi (74). However, with a new rule in place this season with each team allowed to field just two drivers, Team Abu Dhabi has opted for Torrente (Boat No. 1) and Al Qamzi (Boat No. 2) for the new season. They will be joined by Victory Team’s Ahmad Al Hameli (No. 3) and Italian driver Alex Carella (No. 44) in their brand-new boats. Named the Grand Prix of Saudi Arabia, Team Abu Dhabi has further representation in the F4-S category with Mohammad Al Muhairbi (Boat No. 5) alongside Victory Team’s dual onslaught through Asian champion Ali Al Lanjawi (Boat No. 4) and Emirati champion Ahmad Al Fahim (Boat No. 3).